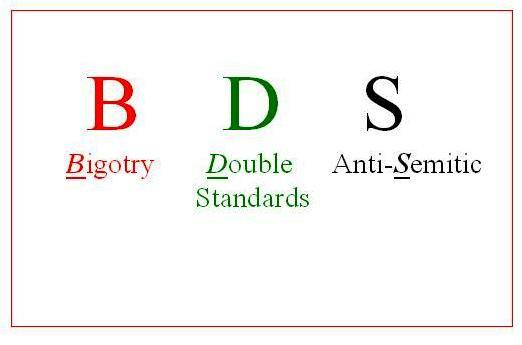 You do not have to openly advocate BDS in order to make it work. Openly promoting BDS is slated to bring about the ire of Israel’s puppets in the various governments who are more loyal to that failed state than to their own people; the plan is to read the labels on everything. If a product says “imported” without specifying from where assume it is from Israel. If it has a 729 at the beginning of the bar code it is from Israel. Once you are armed with the education you can then make moral choices that go with the tenures of your conscience. They can whine about the decline in tourism, but when they have more soldiers than believers in the church of the Holy Sepulcher on Orthodox Christian Easter when the Holy Fire appears (see http://www.holyfire.org) they really need a reality check. Maybe the Israelis are taking too many of the drugs they market to the world. Recently 16 teenage so called “settlers” i. e. American Jew fanatics, completely destroyed the ancient church built on the spot where Christ made the miracle of the loaves and fishes. Bethlehem, is completely a walled in prison, with dwindling Christian population. Taybeh (Biblical Ephraim), the last Christian village in the Holy Land, had acres of land confiscated by the govt without right of appeal, and this past week acres of their wheat crop were burned to the ground by “settlers”. This is not only the last all Christian village left where Christ walked the earth, but it is the one where he fled “for fear of the Jews” before entering Jerusalem (Palm Sunday). And let’s not forget the martyr St. Philoumenos, a priest tortured to death by “settlers” in 1979 as he began vespers. They wonder why tourism is declining??? And this is to say nothing of the sin city of Tel Aviv, with more brothels per square meter than any place on earth, as well as home to the world’s largest gay pride parade.